Inkmaker automatic, software controlled additives dosing system is the answer to one of the most crucial and delicate production’s process: additives dosing. 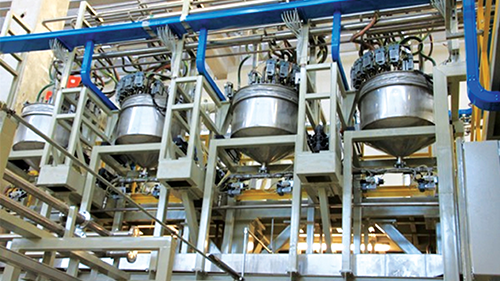 Our automatic additives dosing system ensures the quality and consistency of the final products by eliminating dangerous and costly mistakes. All our dispensing solutions are tailor made according to each customer's specific requirements. Additives can be stored in dedicated containers and, whenever necessary, pumped into stainless steel hoppers mounted on electronic scales. Once the exact quantity of each additive has been measured, they are transferred through a custom designed distribution system, directly to the process tanks. 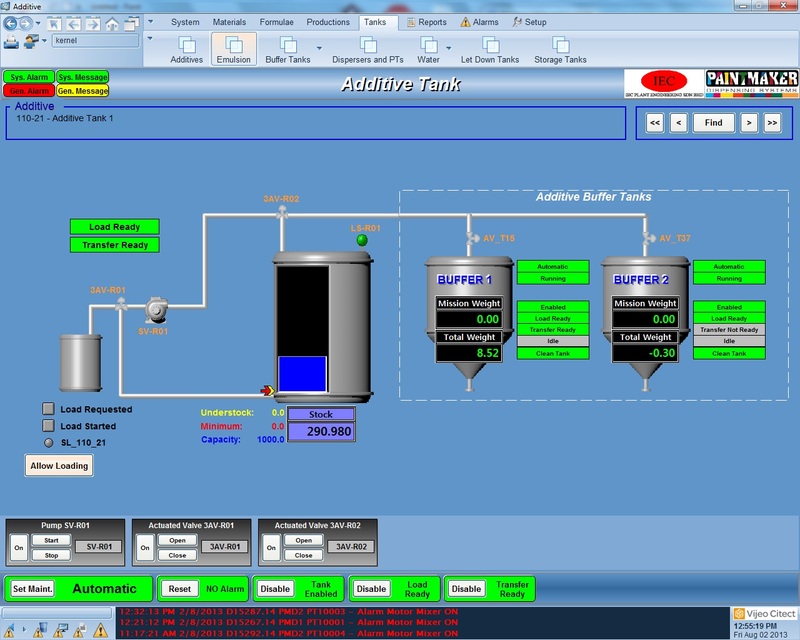 Eliminate human errors: all additives are discharged directly into the process tanks without human intervention. Ensure that only the correct quantity of additives is used. Ensure that the correct sequence is followed. Each additive is handled through dedicated pumps & piping. 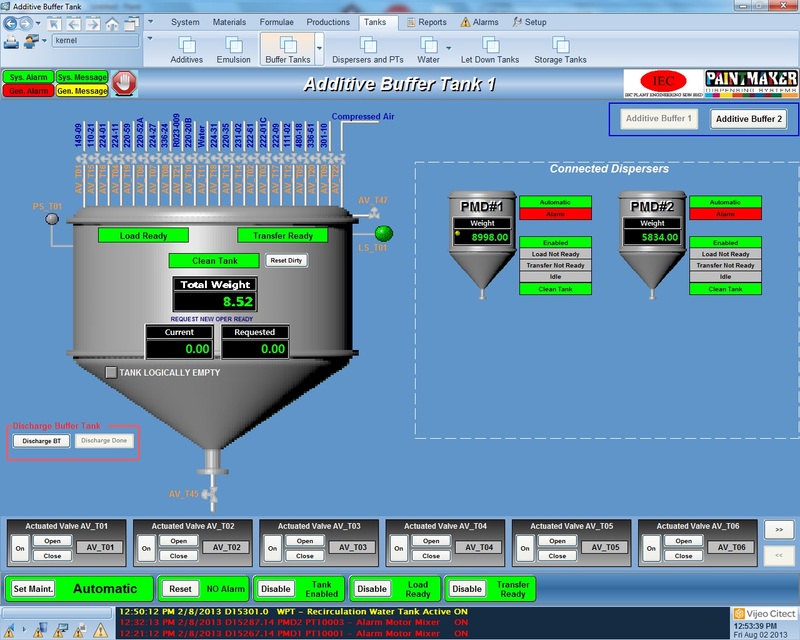 All operations are software controlled; our software calculates the correct additives’ amount based on your formulations and the production batch size. The software controlled automatic cleaning of the additives’ dispensing hopper avoids cross-contamination issues. The washing liquid can be either added into the product or discharged separately ensuring savings and minimizing waste.